Spain is a popular choice for couples who are planning where to have their wedding, why? The climate is perfect for a wedding, the choice of Mediterranean food can be enjoyed by anyone, and, as we will focus on in this article, there is a vast choice of location for your wedding. First and foremost, however, there are a few legal requirements to address. Firstly, to marry in Spain, one of you must have lived there for a minimum of two years, and you must be over the age of 18. Want help? Here we are! Planning a wedding in Spain may seem like a complicated task, but do not worry, an increasingly common idea is to hire a wedding planner to make the process stress-free and simple. To know in depth the advantages of hiring a wedding planner, you can visit this blog. At Weddings and Events by Natalia Ortiz, we have the privilege of providing a wedding planner who has exceptional knowledge in the area of planning weddings in Spain thanks to many years’ experience in doing so. If you want to get in touch, you can write to us at info@svadbavispanii.ru. 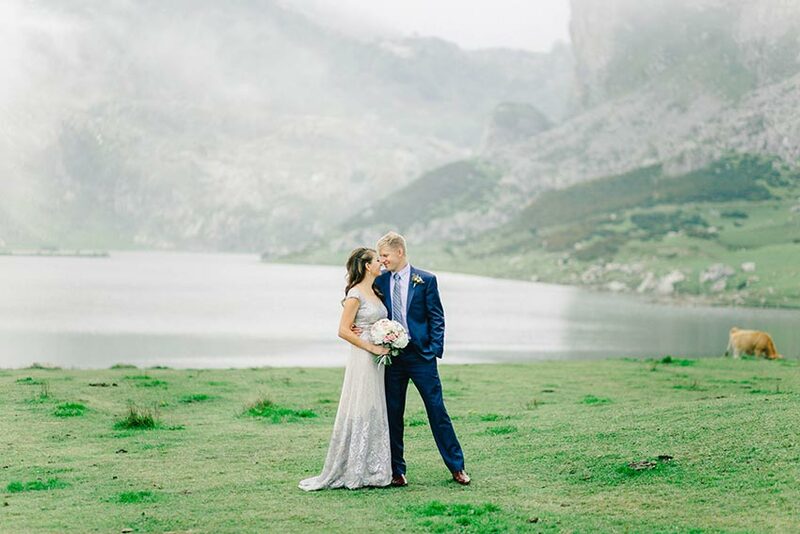 Let’s start with the 8 best places to get married in Spain, with examples! First, let’s begin with a classic choice: a Church. If you are looking to celebrate a religious wedding, Spain is the perfect country. Due to its long history of religious traditions, there is a huge choice of beautiful churches at your disposal. One of our favourite churches is the Basilica of Santa Maria del Mar in Barcelona. It is located in the district of La Ribera, in the middle of Barcelona and has a gothic Catalan style, with high ceilings and narrow stain-glass windows. It is famous for being featured in various novels, such as Thesaurus Ombres a Barcelona, by Africa Ragel. If you wish to see more options of churches in Spain, you can see this blog of ours. Castle Buen Amor, Salamanca. 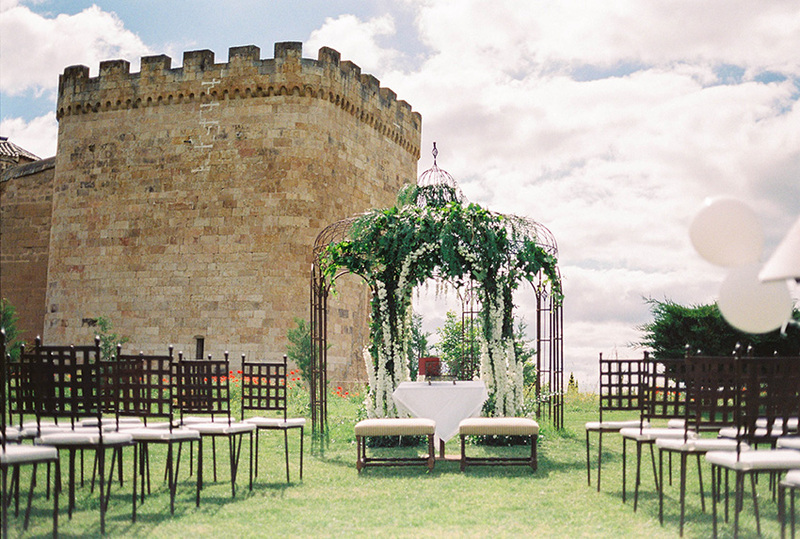 This special castle has a long history, and has been renovated to accommodate special weddings. For more information on Castle Buen Amor, please see our article all about it. XIII century castle in Catalonia. This castle is located in the mountains, which provide a beautiful backdrop for your wedding and can host up to 200 people. Castle of Viñuelas. 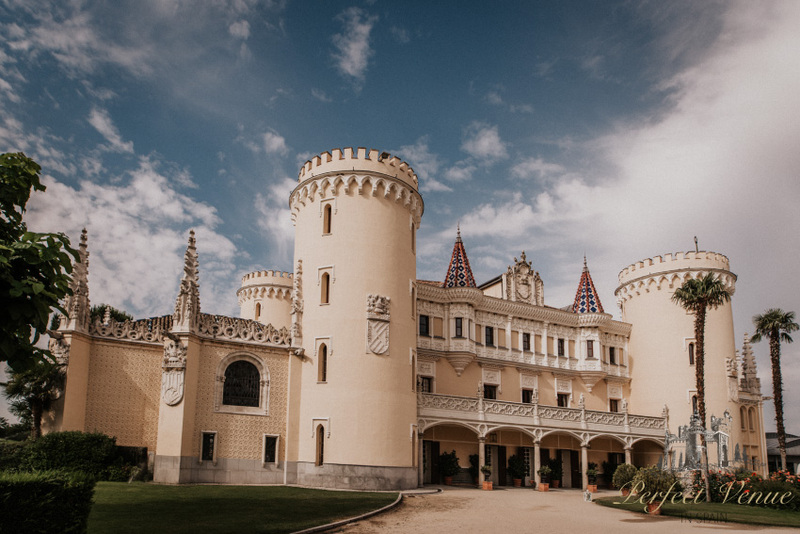 This castle is in Soto de Viñuelas, a protected, natural area in Madrid and can host up to 1000 guests! A more modern choice of location is a villa, where, if you wish, you can have a ceremony, reception, and accommodate your guests all in one place! Spain has a variety of villas of all sizes, facilities, and price to meet your desires. For example, one of our favourites is Villa Los Flamingos, which is situated between Marbella and Estepona, and can host up to 20 people. If you’re looking for a romantic setting for your wedding, why not choose one of Spain’s many beautiful golden beaches? 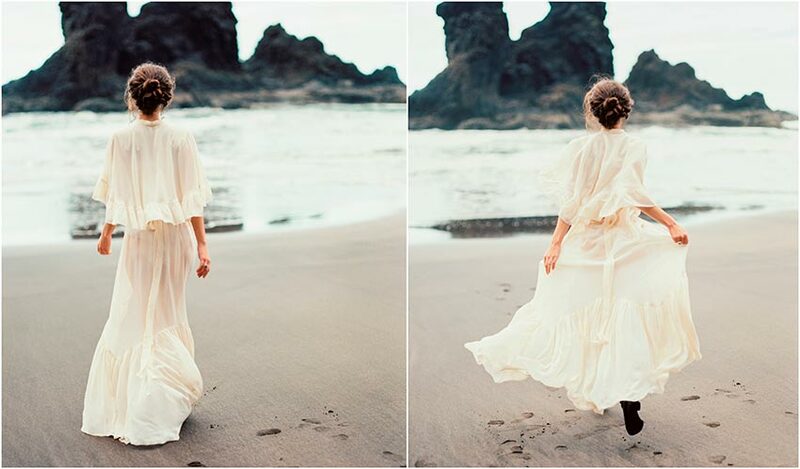 The ambiance of a beach ceremony is simply stunning, and, secondly, there is bound to be a large choice of activities there if you’re planning your wedding over a few days. You and your partner may have a passion for food! If so, a restaurant is a perfect location for your big day. Restaurants typically have unique personalities and, of course, you need not worry about the quality of food at a restaurant. 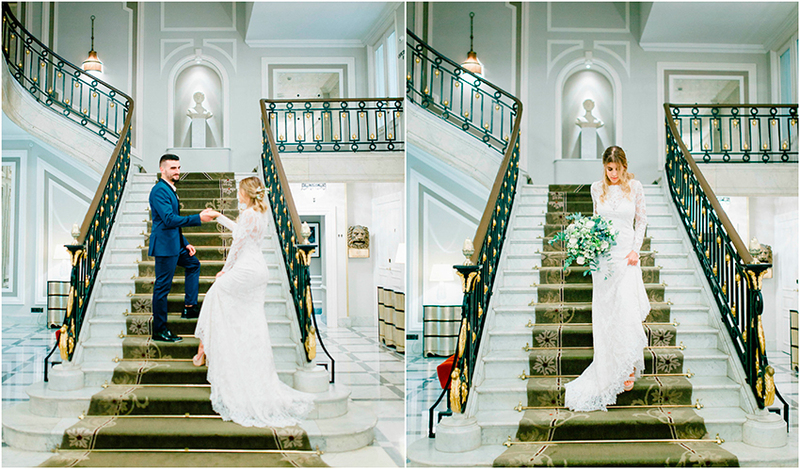 Another popular choice for couples is to get married in a hotel. As well as being potentially very beautiful places to get married, hotels are a popular choice due to their convenience. If your guests aren’t local to the area where your wedding will take place, they will need somewhere to stay, so where better than a hotel? Furthermore, you can celebrate your whole wedding, from ceremony to reception in a wedding, so no extra transport will be needed – a perfect choice for convenience! Here, we comprised a list of advantages of getting married in a hotel. Mountains provide an extremely picturesque backdrop for your wedding. If you admire the indisputable beauty of nature, a wedding located in the mountains could be the option for you. Finally, there are many islands which belong to Spain, such as the Balearics, which can provide a perfect location for your wedding. A popular choice is Mallorca, due to its warm climate. Moreover, its airport makes it possible to fly there from almost anywhere! Additionally, celebrating your wedding on an island gives you the chance to celebrate your honeymoon in a wonderful location without having to travel anywhere else after your wedding. 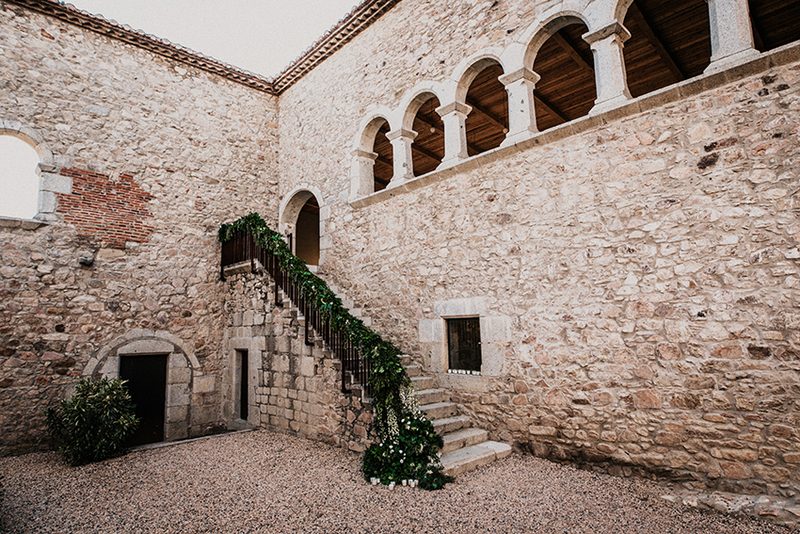 If you wish to know more about the best places to get married in Spain, we have lots more information so you can write to us at info@svadbavispanii.ru. We look forward to hearing from you!